12x24x4 High-Flo MERV 7 Gas Turbine Filter Aluminum Frame (Pneumafill) | Air Filters, Inc.
Air Filters Incorporated™ High-Flo™ MERV 712x24x4 seasonal (Up to 3 Months) Gas Turbine Replacement Aluminum Frame filters are used on large engine air intake where hi-efficiency is coupled with long life. 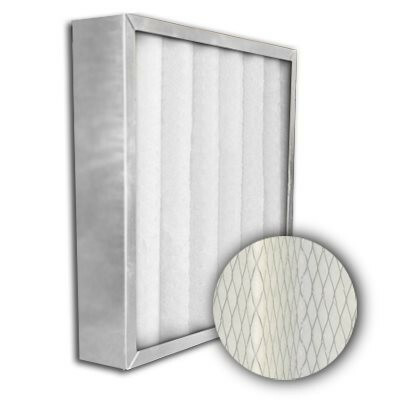 Utilizing electrostatically charged, 100% synthetic media these inserts offer significantly higher particulate efficiency than regular poly/cotton media pleated filters, with little change in static pressure. MERV 7 filter media will not promote the growth of bacteria, mold, mildew, or fungi in normal operating environments, and has not been chemically treated. These filters are designed to last up to 3 months. 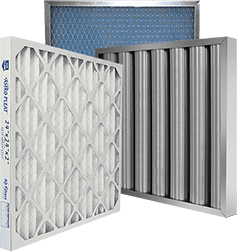 Gas Turbine Replacement Air Filters incorporate 100% synthetic media.